LMC gallery opening, originally uploaded by losmedanosart. 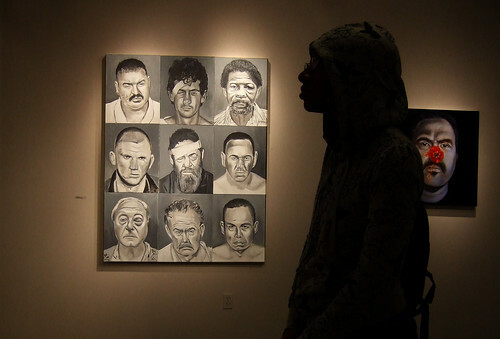 Mark Nobriga's art in the Los Medanos College galley includes this piece, painted from online mug shots. Much of Nobriga's work deals with male anger, so it might not be wise to miss this show.